Alice Bampton, digital image specialist and senior writer on the Communication and Publications Team, took a studio art class this summer. 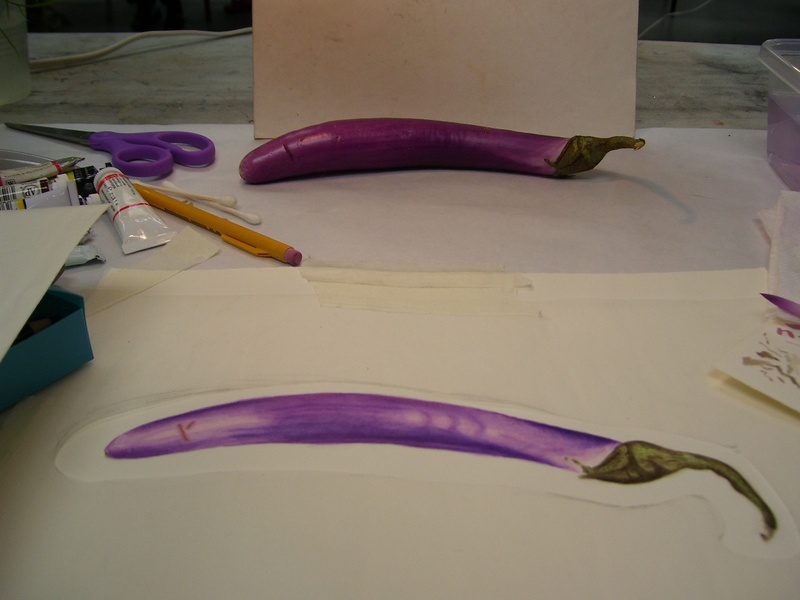 Pictured here is an eggplant and Alice’s painting of it. Barbara Quintiliano, Nursing & Life Sciences liaison and Instructional Services librarian, visited a few Greek islands. 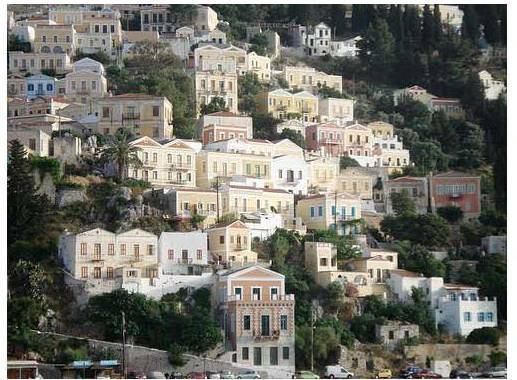 Pictured here are pastel building facades on Symi Island. 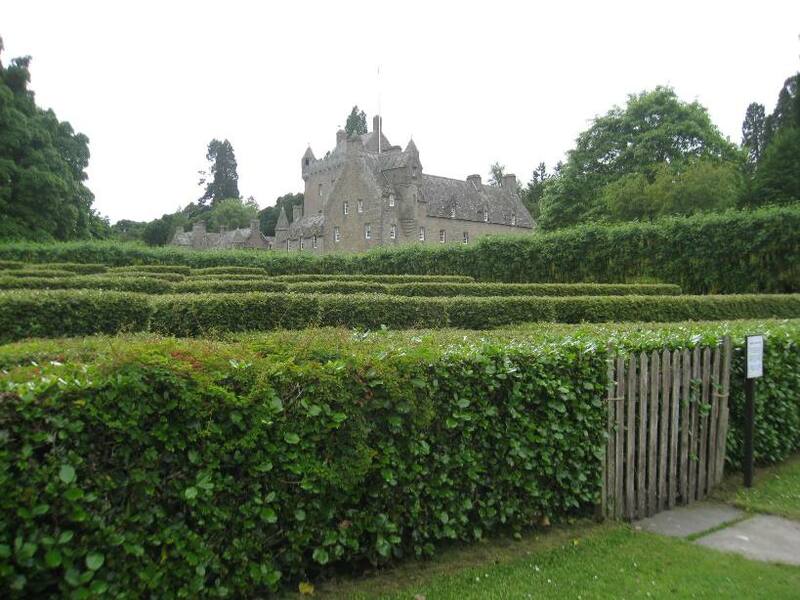 Laura Hutelmyer, photography coordinator for the Communication and Service Promotion Team and special acquisitions coordinator in Resource Management, visited Cawdor Castle in Scotland. 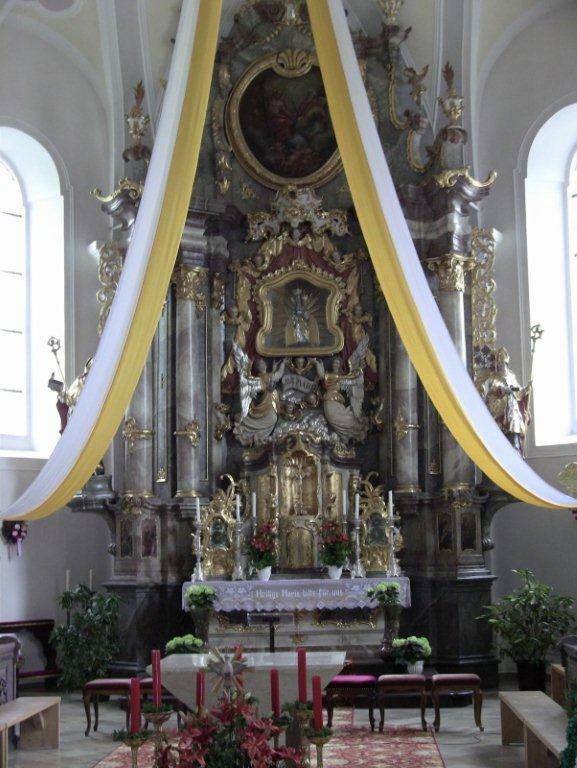 Jackie Smith, Budget and Administrative Services specialist, traveled to Bavaria for her nephew’s wedding. Pictured here is the church, Maria Himmelfahrt in Bad Kotzting. Luisa Cywinski, editorial coordinator on the Communication & Service Promotion team and team leader of Access Services, went to Iowa and visited the Mustard Seed Community Farm.